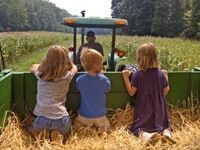 The growth of agritourism is connecting more people directly with agriculture, allowing them to better understand where their food comes from. 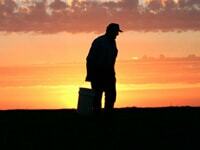 Implementing safety practices to keep farm visitors safe is becoming increasingly important. Dairy Stockmanship is a practice which promotes positive animal handling. Stockmanship is important for both animal and worker safety. 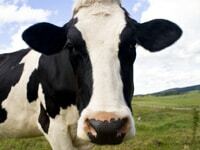 It reduces stress, potentially increasing milk production and reducing injuries on the farm. This project includes an OSHA-approved five-module, bilingual health and safety worker training curriculum and promotores de salud to reduce worksite hazards and to improve worker knowledge and practices. 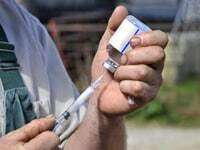 Needlestick injuries are a significant risk for farmers, farm workers, and veterinarians. These resources were developed to provide education to prevent injuries in swine and dairy operations. 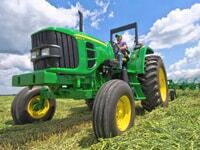 Tractor accidents are a leading cause of death among U.S. farm workers. A rollover protective structure (ROPS) is effective in protecting farmers from injuries or death in the event of an overturn. Stress, depression, and suicide are an emerging issue in rural communities where economic, social, and environmental forces challenge the health and safety of farmers, agricultural workers and their families. 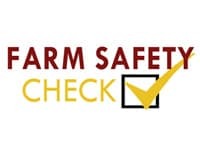 The UMASH Farm Safety Check is a quick monthly review to identify and fix potential hazards before they cause harm to your family and employees – and your bottom line.